The office of University Communications and Marketing Services (UCOMM) is responsible for NMSU’s news, media relations, publicity, institutional marketing, top-level websites as well as branding including the use of the NMSU Logo and other protected trademarks. Additionally, UCOMM functions as the primary liaison between NMSU and the mass media, as well as builds direct connections to important audiences via social media. Faculty and staff are encouraged to respond to media inquiries directly when acting in their area of expertise. Faculty and staff who respond to media inquiries are requested to inform UCOMM so the media contact can be recorded. UCOMM is also available to provide advice to NMSU departments regarding matters involving the media. Adoption of this revised Rule will supersede former Rule 2.85, “University Logo”. 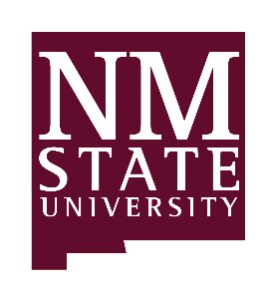 Specific rules for reproducing the symbol are located in the NMSU brand website at https://brand.nmsu.edu/logo. For posters, presentations or conference materials, the NMSU Logo can be downloaded at https://brand.nmsu.edu/logo. When partnerships with external funding agencies, other universities or government labs require using both the NMSU Logo and the partner logo, the logo set up will be reviewed by UCOMM to ensure proper use. When the NMSU Logo will be displayed as a partner logo (not combined or altered in any way), it can be downloaded at https://brand.nmsu.edu/logo. When planning an NMSU special event (e.g. Homecoming) which may involve the use of a theme logo in addition to the NMSU Logo, the planning group should coordinate with UCOMM and obtain approval for the limited use of the NMSU Logo with the special event logo. Third parties may only be permitted to use NMSU’s protected trademarks, including the official NMSU Logo, through a license agreement. The Chancellor has delegated authority to approve such licenses to UCOMM. Third parties and NMSU entities seeking permission to use NMSU’s protected trademarks for retail purposes or to promote non-educational special events shall coordinate such use with the Collegiate Licensing Company at retail@clc.com. For assistance, please direct questions to mktgserv@nmsu.edu. At the discretion of the Associate Vice President for University Communications and Marketing Services, an advisory logo committee may be convened on an ad hoc basis to assist and advise concerning proposed uses for the NMSU Logo or other protected trademarks. The advisory committee shall consist of management representatives from UCOMM and the university system as deemed appropriate by the chair for the topic(s) to be discussed.